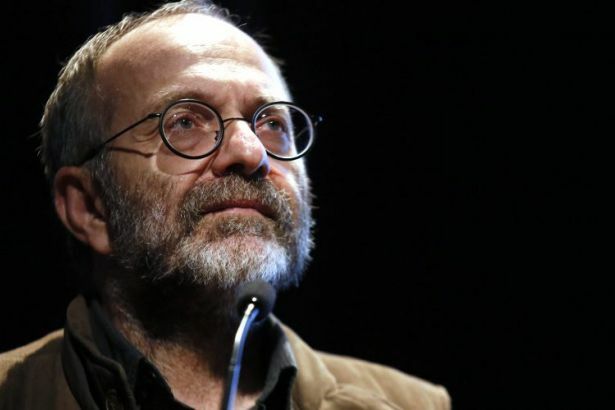 Kemal Okuyan, GS of the CP of Turkey elaborated on the ongoing economic crisis and pointed out that its political outcomes would be determined by working class struggle. In the news portal soL, Kemal Okuyan, Secretary General of the Communist Party of Turkey (TKP), analysed the current economic crisis in Turkey and its possible political outcomes. Highlighting the inevitability of crisis under capitalism, Okuyan reminded that this results in further monopolization as well as the reallocation of funds from toiling masses to capital. Okuyan said that the expectation for the crisis to lead the Turkish President Recep Tayyip Erdoğan or his AKP government to a political stalemate would be too optimistic and underlined the role of working class struggle in determining the political outcome of the crisis. For years, the left said that the “crisis is inevitable”. Sometimes it has even been blamed for spelling disaster or criticized for failing to “predict” the actual outbreak of crises. Today, can you say that “we have been proved right”? At least, does the TKP pursue such opinion? Why did we claim that “the crisis is inevitable”? Above all, crises are inevitable under the system based on the dominance of capital. You cannot show a single case free of economic crises where the social order called capitalism prevails. Since Marx explained saliently and in plain words why this is the case, his works maintain their vitality and validity after 200 years. If capitalism exists, crises will break out sooner or later. What is crude is the system of exploitation itself. We are talking about a system that is fundamentally based on injustices and robbery. The phenomenon of crisis is as real as exploitation itself, but this is not where we should put a full stop. The history of capitalism verifies that crises are inevitable in practice as well. This point is not about the AKP or Turkey. We will come to that. One may look at any country he or she wishes, from the United States to Germany, from Japan to India, and argue that this or that country is entirely free of crises; they don’t have it. Sometimes they mention Sweden etc. in this respect, forgetting the gloomy picture in that country in the early 1990s. In the end, we claim that unless this social order is overthrown, crises are inevitable. But this is not the only argument we raise. Isn’t there an aspect of the issue that is particularly related to the AKP? There is, but the AKP government does not sit on air. Since the very beginning, the AKP has served to the capitalist order. Hence, there is an unconditional link between the economic policies it pursued and the nature of capitalism that generates crises. Yet, this is not the only point we make. In the strict sense, the policies of the AKP based on plunder and loans which devastated Turkish agriculture, destabilized the industry, etc. have increased the fragility of the economy. However, it would be simply foolish to address these policies in isolation from the needs of the system of exploitation. As a party, we have always underlined this point; the columnists of soL constantly wrote on this aspect and they continue doing so. What about the developments in foreign affairs, or the interventions of the US and the EU in the Turkish economy? Don’t you think that these are related to the ongoing crisis? The AKP carried out massive operations to open up every single cell in Turkey to the reach of international monopolies. In the 2000s, the main philosophy behind the transformation of not only economic but also all political institutions has been the liquidation of everything that markets perceive as a check or hindrance to its penetration. When you talk about markets, it does not matter whether you mean foreign or domestic capital. Large companies have sat on rivers, heaved up their anchors with winds, plundered cities, exploited and killed our people. This was a conspiracy against the people. It is plain and simple that such an economy would become more fragile in international competition. Every state may use economic tools for its own interests based on the extent of its power. You left the door of your house wide open, invited the robber in saying that “welcome, the house is all yours”, and now you claim that they are conspiring against you! But such discourse would not last. The government cannot fight with international markets for a long time. So, how may the crisis evolve? Even though crises are inevitable in this system, it is also impossible to predict their outcomes and progress in full scope. International dynamics, political balances, the development of the struggle between labour and capital; all of these factors point to an equation with multiple variables. What we need to do is to specify the main course of events. For the crisis may either intensify beyond expectations or it may lead into a relatively restrained process. What really matters is its effects on the people, and we already see that it has quite profound impacts in this respect. What can you tell us about these impacts at the moment? What we need to say today is that the capitalists have been carrying out a ruthless attack on the toiling masses on the pretext of crisis. Of course, this is not the first time we are experiencing such calamity. The first thing that pops into the minds of capitalists is always to lay the burden of the crisis on the working class, even to transform the crisis into an opportunity. They are trying to act in this manner once again. What concerns us, what the people must be concerned about, is this fact. And what we need to do first and foremost is to throw the argument “we are on the same boat” in their face. If we are on the same boat, let us share the entire wealth, all value, on that boat equally! So, do you think that the crisis suits the capitalists’ book? It may come up to that. If workers do not put up the required resistance, even make a counter move, then yes, the crisis would suit the capitalists’ book in the final analysis. Crises often lead to extensive monopolization. This simply means that the weak are eliminated. We may perceive this as a kind of resource reallocation. However, none of the capitalists in Turkey that are larger than a certain size would suffer. Factories will change hands, businesses will shut down, but these capitalists would shift to other sectors; maybe downsize their operations to some extent, but life will go on and they will continue exploiting. At that side of the coin, small entrepreneurs who got underway with a dream to become rich and who relied on credits to this end will suffer the real blow. Capitalism sometimes increases and sometimes decreases the number of “players” in the market. For instance, those who saw “urban transformation business” as a lucrative venture in the Turkish construction industry will be eliminated; their bankruptcy will be gain of the monopolies. Yes, in this sense, the crisis works as a capital accumulation model as well. But there is a far more severe issue that prevents us from shedding tears for these capitalists; the situation of the workers, of toiling masses. They make a living by selling their labour-force and the crisis will now allocate further funds to the capital from their pockets. Inflation, increased the cost of living, is a redistribution mechanism. Laying the burden of private sector debt on the public, hence on the people, is a redistribution mechanism. Layoffs and hiring cheaper labour are redistribution mechanisms. Austerity measures imposed by the government are redistribution mechanisms. Freezing all wage increases is a redistribution mechanism. Running up the bills of vital services such as utilities is a redistribution mechanism. They will exploit, try to utilize, the crisis in this sense. Some believe that this process would knock the AKP government down. Economic difficulties always have the potential to undermine governments. But the incoherent heap called the opposition in Turkey seems to lay its hopes on the economic crisis as it did on the pressure of the US and the EU earlier. This is entirely ridiculous. They believe, say, if the dollar rises to 10 liras, this will knock out the government. No way. There is no one else in Turkey other than the communists who question the current social order, who declare that this order must be toppled down. This does not convince labourers to communism at the moment of course, but it reinforces the opinion that the so-called opposition of the establishment would change nothing. Large sections of the society who are furious against the AKP for various reasons do not believe that the so-called opposition would get the economy out of difficulties. Yet, there are two risks beyond this: first, placing himself in a different position during the entire process of economic crisis, Erdoğan may pass the buck to bosses and bureaucrats. The society is vulnerable against such demagogy and Erdoğan’s style of politics is well suited for such manoeuvring. I mean, while providing all kinds of opportunities and arms for the capitalists in the course of crisis, he may also try to give the impression that he is the protector of the entire society. We see certain signs of such course of action. The second danger should be addressed in tandem: while the number of those among toiling masses who question the established order increases as the results of the crisis kick in, authoritarian and fascistic tendencies also gain strength. The AKP has already engaged these tendencies employing both its own social and political organizations and those of the Grand Unity Party (BBP) and the Nationalist Movement Party (MHP). For this reason, yes, the crisis will be compelling for the AKP, but we should not assume that this would inevitably lead to the expected political outcomes. A rather complicated process will be experienced. And the most critical link of this process is the situation of the working class. What can the working class do against the crisis? First of all, it can struggle to prevent the use of the crisis as a redistribution mechanism as I mentioned earlier; it may put up a fight to curb a new wave of robberies. And this has already been kicking in bit by bit, it will intensify further. However, this is not sufficient. Based on the facts that are revealed by the crisis, the labouring people may start to question this social order, and what is more, they may strive to change it. Struggling against the high cost of living and unemployment, i.e. resisting against two actual outcomes of the crisis and in fact, two outcomes of this social order; getting to the bottom of all these problems… There is no other way out. The other way is further poverty and devastation. Is this the priority of the Communist Party of Turkey? Yes, this is the priority of the Communist Party of Turkey. For all times. But, in the current situation, we are taking measures for the party to be focused entirely on this. We completed our 2018 Conference 15 days ago. The main slogan of the Conference was “To the Workers!”. We planned and repositioned all our forces, the members of the party among the working class, the intelligentsia and students in this manner. The party organization was renewed from stem to stern. A large number of new organizations have been established. The weight of workplace cells, the number of which have been proliferating radically in the last one and a half years, in the party has also increased. Now, we will take steps without delay to prevent the capitalists and their government to manage the crisis, to transform it into an opportunity as they wish. This is a difficult process, yet there is no other way out and more and more labourers are realizing this fact every passing day. The TKP will do all it can, and we firmly believe in our party and the historical victory of communism all the way. The TKP does not sort out the electoral agenda and the crucial matters of the country, the fight for jobs and bread. It is the business of the establishment to consider the elections in terms of ballots only, not ours. We foremost value the organization of the people and elections provide an opportunity in this respect. Moreover, in local elections, we will take a stand against those who see municipalities as a tool for plundering the country and robbing the toiling people while providing even the most fundamental services. We have a comprehensive action plan on this matter. When will you announce what you will do concretely in relation to all these? We have completed our assessments and reviewed the details. We will share what we will do both for fostering the resistance of toiling people against the crisis and in the local elections in a short while.